Another heading in the photo scavenger hunt that I'm in is communication. This is what I posted for that heading. 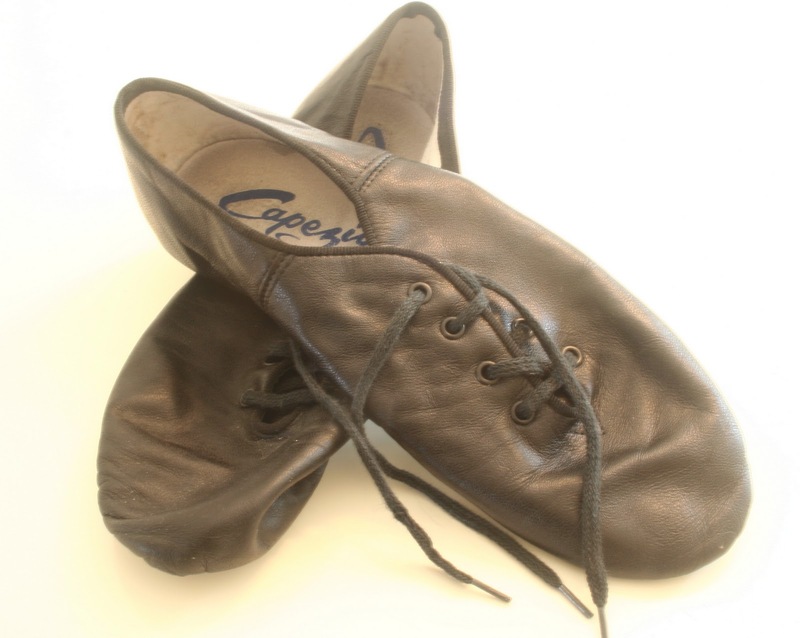 Yes, they are tap shoes - not that well used, but a little over exposed, oh well!! I choose dance shoes for the heading communication because dance is an amazing form of communication - from classical ballet to hip hop and from dance for presentation to two people dancing just for fun - people are using their bodies to communicate. Well, these shoes have been calling to me ever since we cleaned out my son's room. Since my youngest was not going away to university, we decided that we could "freshen" up his room. But, first we had to clean it out. He wasn't as bad as the other two. The thirty-year-old still has his stuffed animals - that's another story. No my youngest managed to clean out all the "baby" things at 5 - lego etc went around 10 and anything from high school got chucked this September. Hiding on a shelf at the back of the closet were his dance shoes. Sometime around the ages of 11 - 13 Nicholas took dance lessons. He loves dance. He even has a few dance videos up on Youtube which usually get around 1,000 hits - I'm not sure of the time frame - but I guess that it's decent because he updates the dances regularly. Here's the link. These dances, apparently, don't need special shoes, so the tap shoes and the ballet slippers went out of the room onto the landing. I tried on the ballet slippers and they fit, so I claimed them. Now, for some reason, I just couldn't throw out the tap shoes. 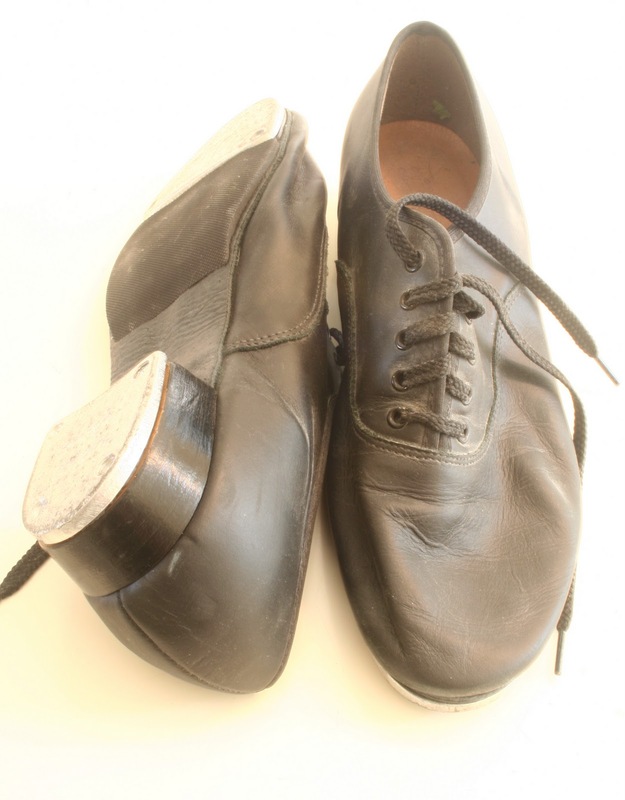 I didn't try them on, becuase if they had fit, I would have had to think of taking tap lessons......and well that would be almost akin to starting anew life!! Well maybe the time has come to try on the tap shoes, now that I have dusted them off for the photo. I'll keep you posted. Here are the ballet slippers and I haven't actually used them yet either. OK this post isn't about knitting or the business of knitting but it is about communicatiing through movement. When you walk, stand, sit down, get up, etc... you are communcatiing. Take minute from time to time and think of what you are saying.